Part of a LabourList series on International Women’s Day 2018. This is an exciting time for women in the labour movement. We’re celebrating the anniversaries of some of our biggest wins – 50 years since the Ford strikes at Dagenham, 100 years since some women got the vote and 90 years since all women did. And of course, 150 years since the founding of the TUC. But we’re also facing huge challenges. For months, brave women and men have been sharing their stories of sexual harassment at work, demonstrating how widespread the problem is. It’s difficult to comprehend that the kind of shameless exploitation we saw at the President’s Club exists in today’s Britain. But it does exist, and it’s everywhere. As TUC research shows, more than half of women workers have experienced sexual harassment at work, including two-thirds of young women. We also have to grapple with that stubborn pay gap. Half a century on from the Dagenham strike – and the Equal Pay Act that followed soon after – women still earn 18.4 per cent less than men on average. That’s equivalent to the a woman not being paid at all from 1 January until today. And in certain sectors, including education, health and social work, and finance and insurance, the picture is far worse. When you consider all that, it’s easy to feel overwhelmed by the scale of the challenge. But as women in the labour movement, we can at least look to great women trade unionists from history for inspiration, and our sisters who continue fighting for change today. Take Betty Tebbs, for example. In 1932, aged just 14, she started work at the East Lancashire Paper Mill and was furious to learn that boys got 13 shillings while girls barely made nine. She immediately joined her union, became an organiser and won her women co-workers one of the best pay deals in the country. Or Jayaben Desai who, in 1978, led the South Asian women workers of Grunwick out on strike, facing down entrenched racism and sexism to demand fair pay and dignity at work. Not long afterwards, Yorkshire canteen staff Dorothy Ratcliffe and Susan Crosby took their equal pay case all the way to the House of Lords – and won. When it feels like nothing ever gets any better, these giants of our movement prove otherwise. And their work goes on. Whether it’s at McDonald’s, in our universities, in the care sector or in parliament, brilliant women trade unionists are changing our workplaces, our communities and our country for the better. I’m proud to work alongside them. So in 2018, let’s keep piling pressure on employers who still don’t pay women staff as much as men. Let’s push the government to reverse their decision to repeal section 40 of the Equality Act 2010, which required employers to protect their staff from harassment by clients or customers. Let’s tackle the misuse of non-disclosure agreements, as at the President’s Club, to ensure that women workers aren’t conned out of exercising their rights. And let’s keep using the power of our trade union movement to support women in their workplaces, taking action wherever inequality and harassment occur, and working to stop it happening in the first place. It’s what women trade unionists have been doing for two centuries – and we’ll keep going for as long as it takes. 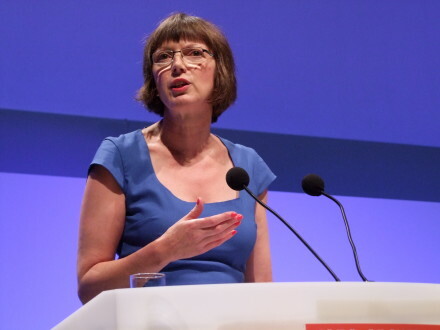 Frances O’Grady is general secretary of the TUC.